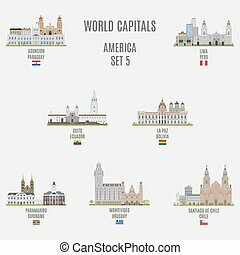 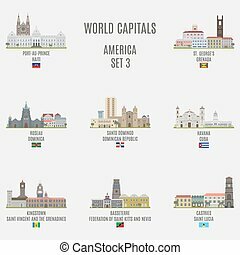 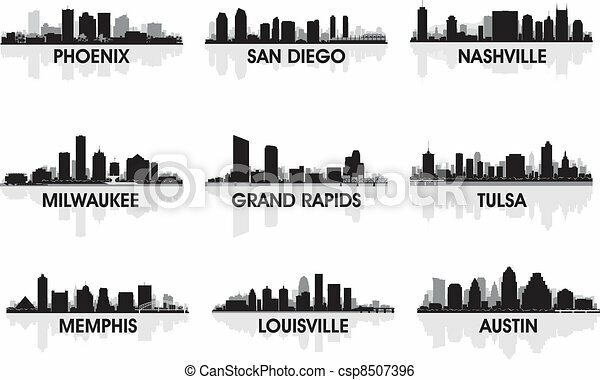 American Cities Flat Concept. 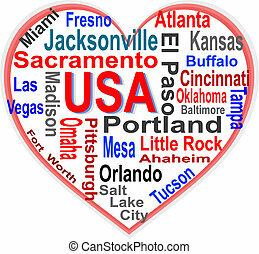 USA Sights And People Compositions Set. 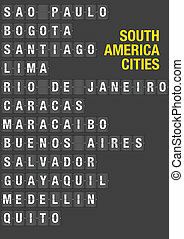 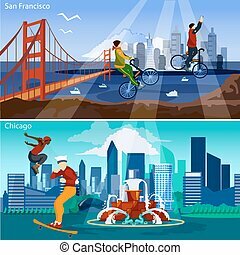 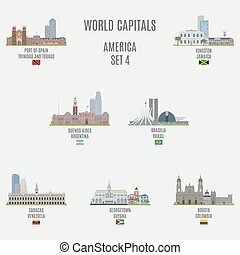 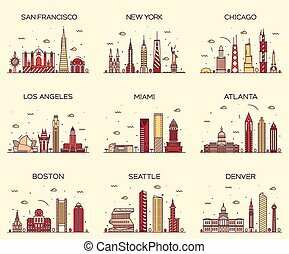 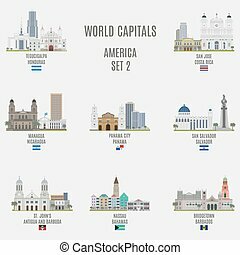 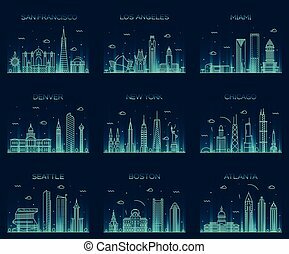 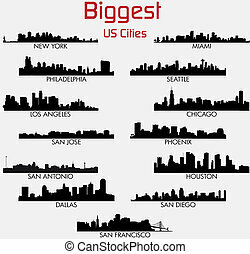 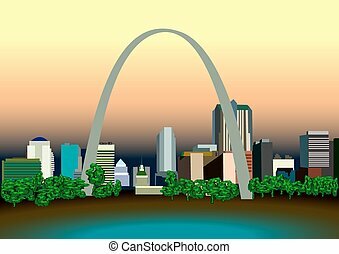 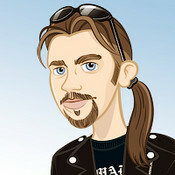 US Cityscapes Vector Illustration. 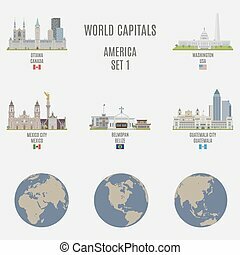 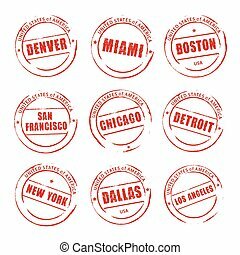 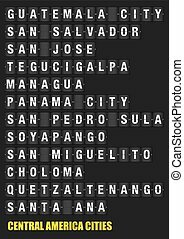 America And Cities Isolated Set.